Do you love using Emojis? We do too! In fact, we have hundreds available to use in your check-ins. Just type “:” to start entering an emoji - we even have autofill to make things easy. Here’s a list of all of them. 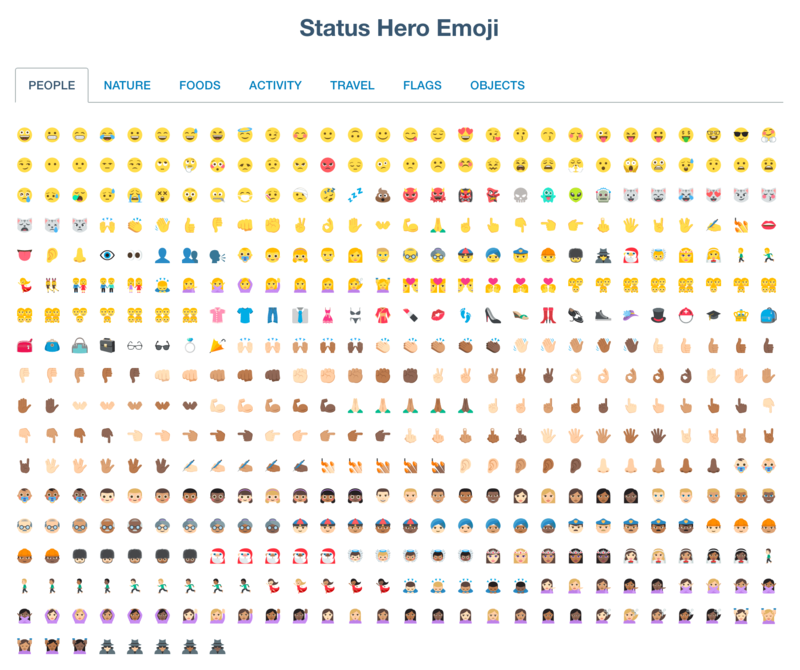 All Emoji in Status Hero are furnished by the amazing emojione project.